Industrial Internet Of Things #Infographics ~ Visualistan '+g+"
“It is estimated that by 2030 Industrial IoT could contribute $14.2 trillion to the global economy.” Initially, the IIoT or Industrial Internet of Things referred to an Industrial framework whereby a large number of machines or devices are interconnected and synchronized through the use of software tools and third platform technologies in an M2M (machine-to-machine) and the Internet of Things context. Nowadays, the Industrial Internet of Things (Industrial IoT) is considered an evolution of Industry 3.0, hence called Industry 4.0. 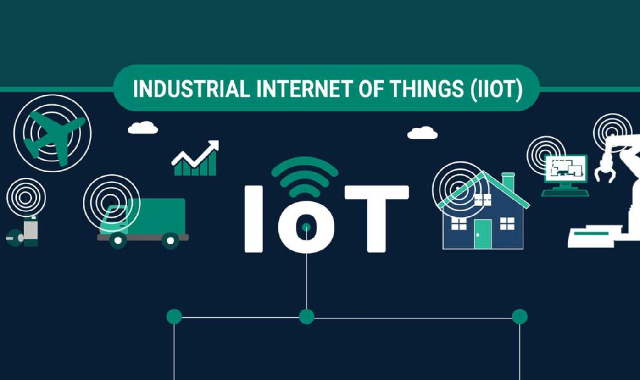 Today the Industrial IoT is primarily used in the scope of IoT application outside of the consumer space and is all about use cases and applications across several industry verticals.